A 9-year-old girl who has been the subject of an overseas parental tug-of-war should stay with her father in Mill Valley, where she was born, rather than in Ireland, where her mother sent her to school after the marriage broke up, a federal appeals court ruled Monday. Under an international treaty designed to prevent kidnappings of children by their estranged parents, children should remain in their nation of “habitual residence,” said the Ninth U.S. Circuit Court of Appeals in San Francisco. While that can be difficult to determine, the court said, the key question is in which country both parents intended their child to live, the last time they agreed on the subject. That should be overruled only when the child has become so attached to living elsewhere that relocation would clearly be harmful, the court said. The child’s parents split up in 2009. The next spring her mother, Elaine Murphy, proposed moving back to her native Ireland to attend graduate school and take her daughter along. Both parents described the move as a “trial period,” the court said, but it continued for three years. The girl went to kindergarten and first and second grades in Ireland but returned to California five times a year, including all summer, to visit her father, David Sloan, who visited her and her mother in Ireland each Christmas. The arrangement broke down after Murphy took her daughter out of school for several weeks in spring 2013 while visiting Murphy’s boyfriend. Sloan went to Ireland and brought the girl back to Mill Valley to live permanently. Murphy did not object at first, and discussed moving back to California to be near her daughter, but filed suit in September 2013 to return the girl to Ireland. The couple’s divorce became final a month later. 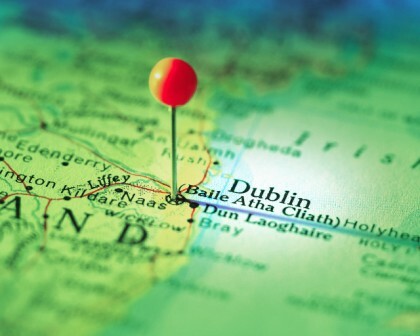 Upholding a ruling by U.S. District Judge Jon Tigar in the father’s favor, the appeals court said the parents had evidently agreed in 2010 that their daughter’s “habitual residence” was the United States, after a temporary “trial period” in Ireland. They never reached a contrary agreement after that, the court said. 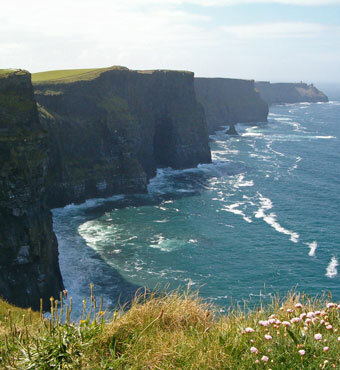 Although the girl “developed strong ties to Ireland” during her first three years of school, she also maintained family and cultural connections to the U.S. during visits with her father and while in Ireland, Judge Margaret McKeown said in the 3-0 ruling. Children often adjust to new surroundings, McKeown said, and courts should look for strong evidence of an emotional attachment before overriding the parents’ last mutual agreement on where their child should live. Thomas Wolfrum, the mother’s lawyer, said she would appeal the ruling. He said most nations that have signed the treaty against parental kidnapping, and at least one other federal court, have given greater weight to the child’s conception of her homeland than to the parents’ onetime agreement. This entry was posted in Uncategorized and tagged Abducted, Abduction, California, child, Child Recovery, children, Dublin, Hague convention, Ireland, Kidnapping, news, Parent, Parental, Parental Abduction, United States, US, USA. Bookmark the permalink.